There are 5 pages in this publication. Memo. This was attached to an 1832 List of Electors which belonged to Alexander Bannerman's election agent. 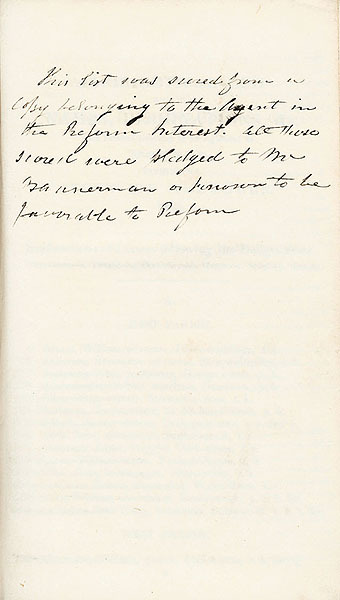 The memo states: 'This list was scored from a copy belonging to the Agent in the Reform Interest. All these [names] scored were pledged to Mr Bannerman or known to be favourable to Reform.' Alexander Bannerman stood for the Whig party and was elected MP for Aberdeen city in 1832. He remained MP for Aberdeen until 1847.